"Jarabi: the most delicious mix between Brussels and Havana." 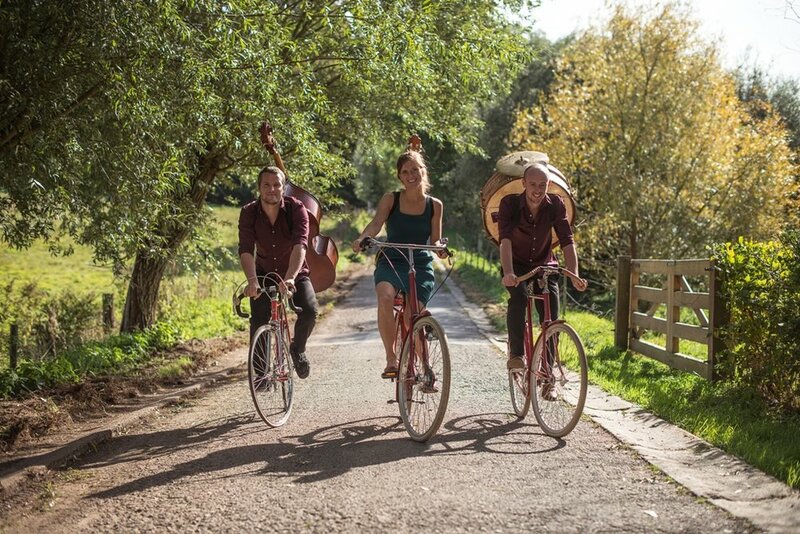 "It is another very successful selection of a trio that has an excellent control over their instruments, allowing them to reveal the soul of various musical genres." "Subtle, refined, jazzy, slightly melancholic and above all very, very beautiful." "With Jarabi you bring the sun into your home." Leán is a trio formed by Silke Clarysse, Otto Kint and Gielis Cautaers. 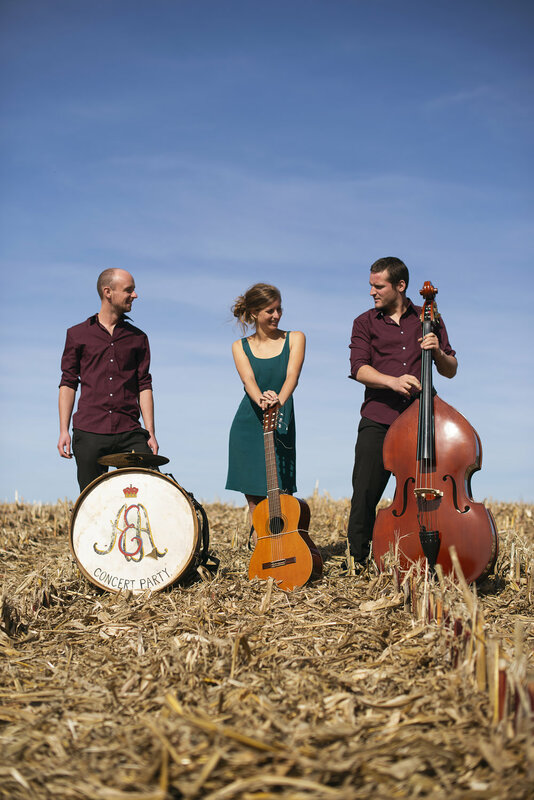 In 2014 they met in Brussels and decided to share their passion for world music. They successfully combine guitar compositions from African, Latin-American and Mediterranean origin with a jazzy double bass and subtle handpercussion. At the beginning of September 2016, Leán released their first album, called Pangea. Leán had the honour to play concerts in all parts of Belgium at Dranouter, Kaléidoscope de la Guitare, ‘t EY, ‘t Smiske, Yellowtime Festival, etc. And they were invited to play at the Safaricom International Jazz Festival in Nairobi, Kenya. 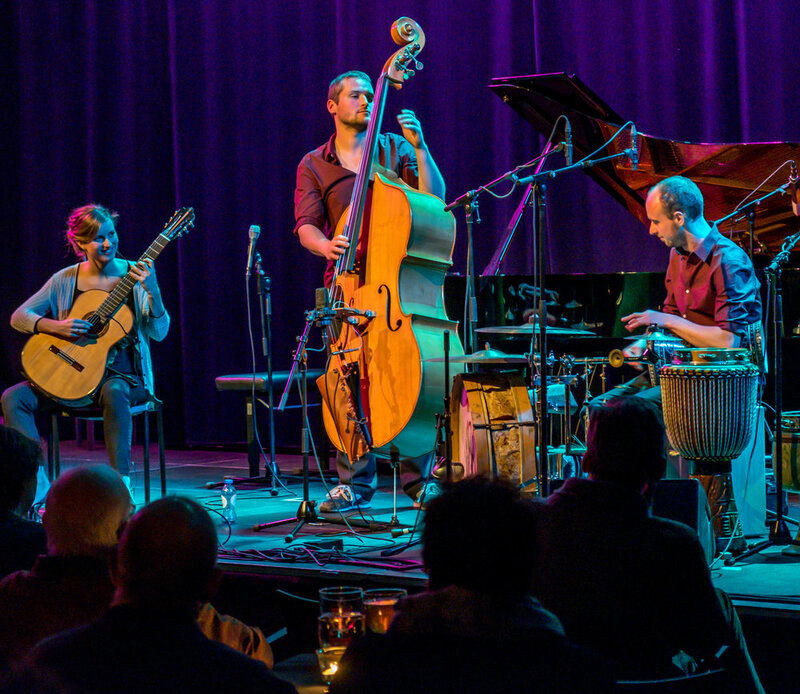 In January 2019 the trio released their second album called ‘Jarabi’. Silke studied classical guitar with Raphaella Smits and Adrien Brogna at the Lemmensinstitute of Leuven. Gielis graduated in percussion with Leo Ouderits. Afterwards he went to study jazz vibraphone with Guy Cabay at the ‘Conservatoire de Bruxelles’. Otto finished his studies at the Royal Conservatory of Brussels with Christophe Wallemme and Bart Denolf.